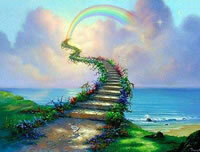 When an animal, any kind of animal, dies that has been especially close to someone , that pet goes to Rainbow Bridge. There are meadows and hills for all of our special friends so they can run and play together. There is plenty of food, water and sunshine, and our friends are warm and comfortable. All the animals who had been ill or old are restored to good health and vigor. Those who were hurt or maimed are made whole and strong again, just as we remember them in our dreams of days and times gone by. The animals are happy and content, except for one small thing; they each miss someone very special to them, someone who had to be left behind. They all run and play together, but the day comes when one suddenly stops and looks into the distance. His bright eyes are intent, his eager body quivers. Suddenly he begins to run from the group, flying over the green grass, his legs carrying him faster and faster. 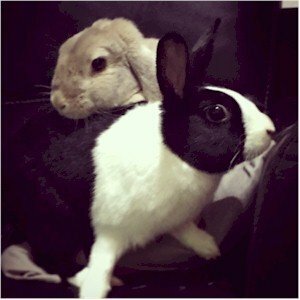 Remember your bunny by sharing their stories with us. My baby girl, ruler of the household. She knows how to break hearts! She passed away just over 6 months after losing her momma (my mother) who she used to lie next to and sleep. She never let me leave the room, she’d stand there looking far too cute. She’d run to my brother when he entered the room. 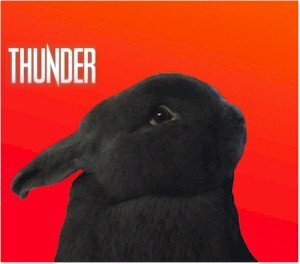 In loving memory of Thumper who sadly passed away on the 11th April 2019. Thank you for bringing so much joy and happiness to my life over the last 11 and a half years. I have so many wonderful memories, you’ve been there for me through so much. 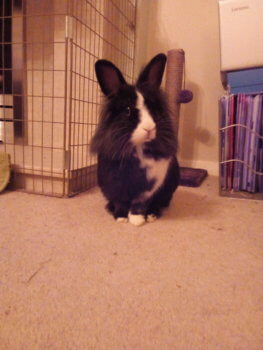 Always happy to see me, hop around the house with me and onto my knee. I loved our cuddles and your cute little ways. I am totally lost and heartbroken without you. 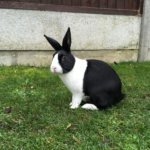 It is with sad regret that on 12/3/2019 we lost our beloved Pet Rabbit ‘Bambie’ such a beautiful black glossy rabbit with a unique character. How she loved the freedom to rule our other pets “Jasper’ our dog & ‘Oscar’ our cat who she adored cuddling up with. She was a diva loved laying beside the fire, enjoyed nudging my ankles, snuggling up beside me on the sofa & an appetite of a lion. Most of all she enjoyed the freedom to roam & loved her beanbag always rolling around feet in the air. I adopted you from a pet shop in November. I knew you were unwell but I wanted to give you a chance of life. We only had you for 4 months but what a beautiful little soul you were. We loved you and you loved us. You brought such warmth to our home with your endearing ways. You wanted to stay with us but you never made it through surgery. Such a brave boy. I will always remember how you loved it on my bed in the morning and how you licked my face. You never had the energy to run around and just wanted to be loved. Run free my darling baby boy. I’m so sorry I was not with you at your last moment and time you needed me the most. I’m so sorry they would not let me and it not fair. I could see you were scared and I hate myself. That will stay with me. I wish there was more the vet and I could do for you. I really miss you. I miss walking in the room and your the 1st I see, miss talking to you, being with you. I loved you so much and I know you love me too as you would lick my hands and sometimes my face. You are a very good beautiful boy. I was lucky to have had you. I’m sorry you were so unwell and wish I could have taken that away from you. You are a very beautiful boy I loved everything about. You will never get forgotten. You will be back home soon. I will be there on the day of your cremation to get you home again. For now I gave you a rose to lying with you. I will always love you. Will be together again one day. Our darling little Beret left us too soon. We will always love you. You were so intelligent, inquisitive and loved to play. I hope you’re happy now my little sweetheart. You came into my life and stole my heart the moment I clapped eyes on you. 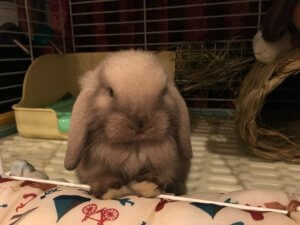 My first ever bunny. So inquisitive, amusing and full of love. My best friend, I could tell you anything and you would always be there to listen and comfort me with your endless kisses and cuddles. You were the best big sister to Meeko, he keeps looking for you and so do I. Home is so quiet without you here. I’m heartbroken that you had to go so soon. Life won’t be the same without you. I’m writing this for my beloved Potato. I purchased her from a family that had been neglecting her when she was 6 months old. She had been locked in a cage for the majority of her youth and would often nip at me when I tried to feed. We grew together a special bond that was truly love. Every time I came home, she was waiting for me. 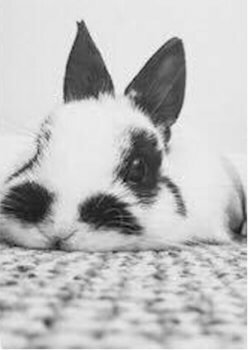 I used to lay on the ground and let her hop on my back and walk her around as well as let her rest her little chin on my forearm where I rubbed her head and she returned little kisses. She was truly an amazing best friend to have had. She left me today and the grief is cascading over me but I felt it necessary to remember her in this way. Always happy, always following me around the house…always loving me. She lived to about 4 years old and passed from not being strong enough during a much needed surgery. To anyone who has lost their best friend, I grieve with you. To Potato…I will always love you and will always keep you in my heart. I will see you again one day and I’ll bring lots of treats for you. I miss you and I love you. Dylan was a wonderful rabbit. I’d owned many in the past but none were quite like him. 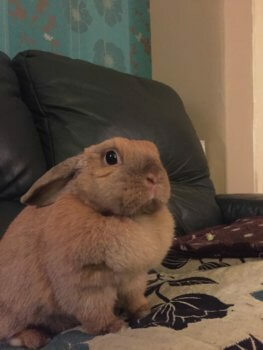 Purchased from a pet shop back in 2011 when I lived just outside of London until January this year when he sadly passed away due to complications with an abscess. He was such a character. Loved curling up in a dressing gown and pushing his nose through the cage bars so he could be stroked. He’d stay there so long being stroked he’d fall asleep!! He’d also try to groom me once he was happy he’d had enough affection. Also he became friends with my Beagle Lillie. They used to follow each other around, she’d groom him and he’d leap into the air in excitement. He’d always make me laugh how he’d growl at the sweeping brush ‘taking his hay’ away when I cleaned him out. Words can’t express how much I miss him. He was great support for me when I was going through my depression, a constant in my life that I needed. He was certainly taken too soon, but then aren’t they all? Love you always Dylan, my sweet boy. Our dear Barnie went over to rainbow bridge on 31.01.2019. Hopped into our life then our home and our hearts. We had Barnie for 11 years, he was found abandoned in a box outside pets at home. We all miss you so much and was an honour to have looked after you. You’ll never be forgotten and one day we will meet again. 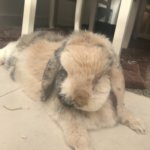 My beautiful bunny Pongo went to rainbow bridge 14/11/18. She lived indoors and I had her from 12 weeks old. 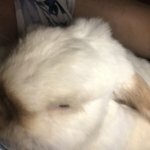 Pongo passed away in my arms. She was so unwell. She lived for 9 amazing years and gave me so much happiness, she was my fur baby. She had an exciting life I even took her on holiday she had 2 photo shoots and was loved by so many. She touched so many people’s lives but I know she’s up there having so much fun. 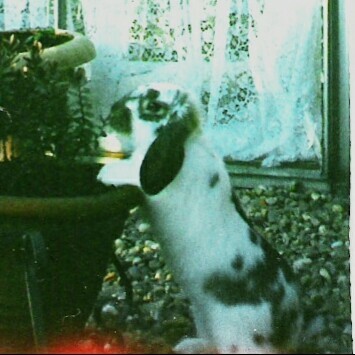 My rabbit was called Patch. He was such a lovely friend to me. He was so hyper and always there when I needed him the most. He had always had a black mark on his eye when he was younger, but very suddenly it began to bulge. This was very distressing for him. Later, he also lost the ability to walk, this was because his spine was twisted. Unfortunately, this was inoperable, so we had to say goodbye. Saying goodbye to Patch was extremely difficult for me, but I know he is in a better place now and I will never forget him. 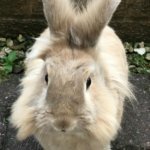 Marlowe was a beautiful lionhead who gave us 3 lovely years of joy. He leaves his life time partner Poirot. Both had been together for 4 years and we adopted them in November 2015. He passed away suddenly after falling ill and 3 days later left us. We miss him so much and need to now protect Poirot and comfort him in his loss. 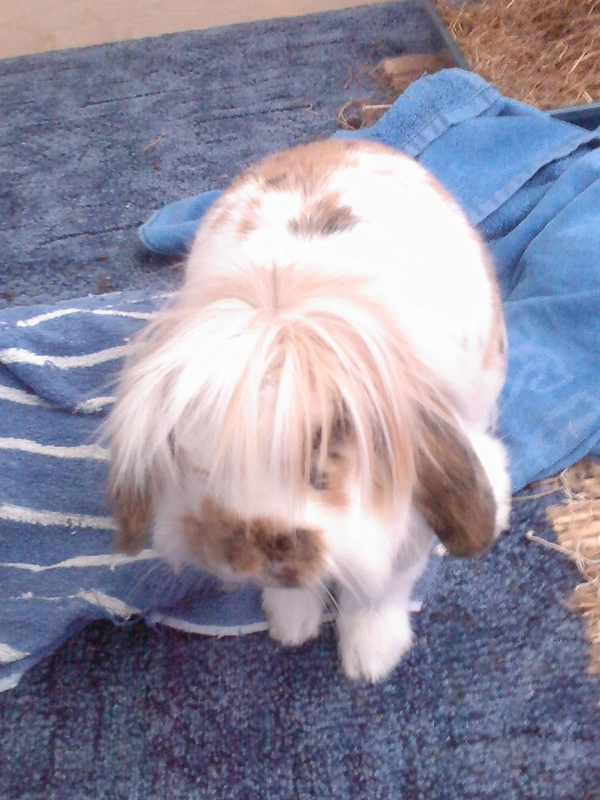 Marlowe your a special bunny who knew how to get tickles and extra food. Hop over the rainbow darling and run free. 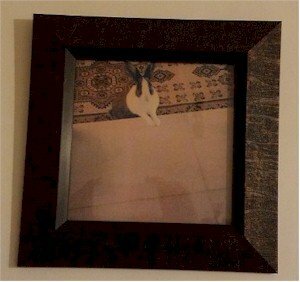 Pixie went to Rainbow Bridge on 9.11.18 aged 8 years old. 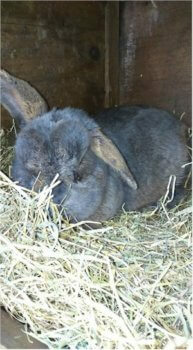 She was a timid bunny, but she had a lovely personality and was a loving companion to Pippin. 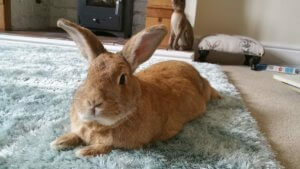 Billy Boy – reunited with your beloved Delilah after a brave fight with dental disease and abscesses, kidney disease and then to be taken by a tragic accident aged one month off 11 years. 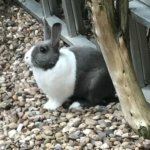 Our beautiful rabbit PHISH died on the 29th of October 2018. We truly are devastated at our loss, but we will always think and talk and share our lives with you. Phish was never just a pet you was one of our children and our hurt is so painful but we will keep loving you till our own deaths . Identical brother and sister bunnies who came into the rescue I foster for both suffering with pastuerella. Mim worse than Mig. 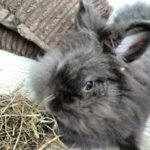 I never had any intention of adopting anymore bunnies of my own as I already had 8 and 7 foster hutches which are always full. But there was something about you two that got me!!! Mimosa first within 4 days of fostering her would run and jump into your arms whenever you opened the hutch door and would tuck herself up under your chin. I was hooked!!!! 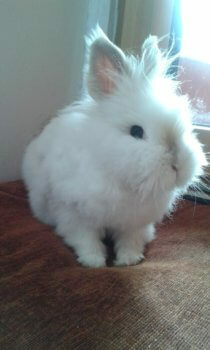 And we all know bunnies need a partner so I decided to adopt Miguel too. Once you were both well enough to be neutered I began bonding you back together it took 2 days! Unfortunately on the 4th of March just 2 months after you came into rescue Miguel’s pastuerella got very bad and he sounded like he was drowning. An emergency rush to the vets I knew he wouldn’t be coming home and held him while he was helped to go. I made the decision to then adopt Tinker to bond to Mimosa again one of the easiest bonds I’ve ever done within hours it was love. Then on the 26th of May I woke up to the same house is heard when we lost Miguel. This time I never had the chance to get you to a vet. You died within seconds in my arms. 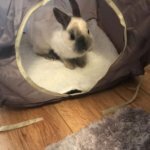 I was heartbroken 3 bunnies in 12 weeks. I only got to love Miguel for 9 weeks and Mimosa for 21 weeks but I hope I made up for the 4 months before they came to me. You came into my life 6 years ago after an argument in a pet shop. I ended up donating £1 for you as they refused to get a vet out for you. You clearly had pastuerella as your nose and eyes where just covered in gunk. I took you straight to my vet where you cost me a lot more than £1. Once we got you sorted out you became the sweetest snuggliest and nippy bunny I’ve ever known. Much preferring to snuggle up on the sofa with mum when out in the lounge. Even once bonded to Badger Esme and Bree you could always be found waiting on the sofa for me. Throughout the 6 years of owning me you under went countless dentals always bouncing back straight away. You were even known as the Snotweiller by the vets and nurses as you nipped a few of them. Unfortunately the pastuerella and dentals caught you up. And on Friday 13th April I kissed you bye as you want in for another one. 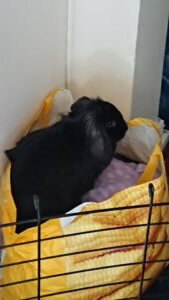 At 3 o’clock I received a phone call from the vets that you had a huge abscess at the back of your mouth. I took the decision to let you cross the bridge while under anaesthetic which I still regret. I should have been there holding you so the last thing you knew was how much I loved you. Carmen our vet held you tight for me and told you that. The hardest thing I ever had to do was fetch you home to say goodbye myself and for your friends to see you. 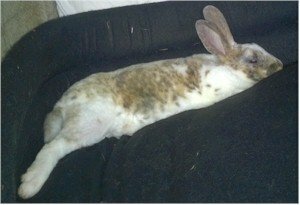 I lost my house bun Mollie after bladder surgery. She battled on for a few days but she never fully recovered and went into shock and passed on the way to the vets. Her pal Coco, distraught and grieving for weeks, not eating and I thought I would lose him too from his broken heart but he bounced back eventually. 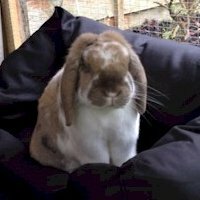 Coco is a very anxious and deeply complex emotional bunny and once in a while he would start a scrap with Mollie (the only way he knew how to unleash his built up emotions) but he was always forgiven and they had 6 wonderful bun years together. Attempts to get a new pal for him took 5 attempts but no sooner had he got back home he started his behaviour pattern and had a scrap with his new pal. I could not put him, her or me through that cycle of scrapping and the worry that goes with it that the next time might just result in one getting seriously injured. Sadly, I had to return her to the rescue. 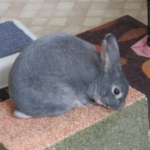 Clara just so happened to be in the rescue, a tiny dwarf bun, estimated to be about 6 years and with some issues (neuro damage, bulgy eyes, weak legs from spending her entire life in a cage). With Coco’s history of causing trouble the rescue asked would I consider her in a separated set up where they could both see/smell each other but weren’t fully together. Nobody else was showing any interest in her and so how could I not give this girl a second chance. Wow, she surpassed any expectations I had for her. She loved having space and freedom, her legs getting stronger all the time. She loved a nose rub and was just the most fantastic, resilient little girl. Sadly just 6 weeks in Coco managed to sneak through the gate that separated them and I believe my poor girl literally died of fright. She has broken my heart and my guilt at not keeping her safe is immeasurable. Coco breaks my heart because he is totally alone again. 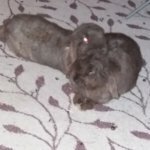 I hope my Mollie & Clara are together somewhere running and binkying free. They were both loved so very much. Slipped away 5th October 2018 aged 2 years 6 months (approx.). At the Rescue you were Bootsie and as we were leaving the man said “Goodbye, little Boots.”, and I thought, ‘Oh no!’ because Little Boots in Latin is Caligula! When we arrived home you soon began to emulate that tyrannical Roman Emperor and ran amok through the house, taking no notice of anything except food and Hell-raising! Eventually I spoke with Dr Anne McBride and she told me never say ‘No’ to a rabbit, say ‘Leave’. So I did, and it was a miracle. We looked at each other and a door opened. With a word we had bonded and your star began to shine. Such a clever bun. Within a couple of months I was running out of things to teach you; from ‘dancing’ on command to doing many of the exercises dogs do in obedience work, you excelled. We learnt something new every day and you had such a cheeky nature, teasing me and binkying off in joy. By autumn 2017 you responded to over thirty commands/phrases. When you became ill at the beginning of June and got progressively worse you were such a brave, stoic lad. Right to the end you charmed the vets and won new fans. Adapted from a poem by Richard Adams in Tales From Watership Down. My little princess had to cross the bridge today 2/10/18 only 6 . I’m am utterly devastated. I didn’t want to do it but had to for her. Goodbye our precious pup, you’ve given us so much love and happiness-you’ll be forever missed. My darling PUFFY who passed over to RAINBOW BRIDGE on the 25th September. You were part of my life for 11 years and after your sister died the bond between us grew so strong.As you got ill you fought to stay with me as long as you could but then you let me know when you had had enough. I will always remember your final head nudge my darling. 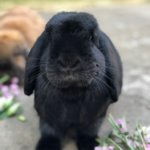 We lost our beautiful girl Hazel on Tuesday 11th September 2018. 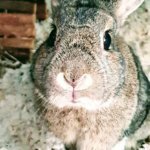 She was nearly 11 years old, was such a beautiful soul and loving rabbit. The house is very empty and sad without her. We miss you Hazel, and you are forever in our hearts. You’ve been loved from the moment you came into our lives. You are my sweet little Franky Boy. I will forever miss you. Totally devastated at the loss of my boy Barney. I miss his fluffy smell, his kind eyes and his gentle nature. I hope with all my heart when I die I see him again, as life if just so sad without him. And I hope he forgives me for having to have him put to sleep. We tried so hard to get him right but it wasn’t to be. 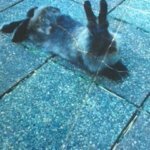 I had my Rabbit for 2 and a half years and early Friday morning a cat was seen chasing her around the garden which scared her away.When I woke up I noticed her limping and on inspection noticed blood on her heel. I could clearly see a tibia sticking out and knew straight away this was bad. Checking into a vet surgery we were told only amputation was best choice or Euthanasia. Having the weekend to decide we went for putting her down not because of the expenses but mainly the aftercare she would have needed. Even now 1 day later I can’t eat and my stomach’s in knots worrying over her sad demise. Even walking around the house I can still envision her following me. My son called her Phenoix wereas to me she was SICKOFTEA. Silly I know but sitting in the garden one day with her in front of me with my cuppa I said god I’m sick of tea to which she turned and stared at me. Never will I get another pet now as I cannot loose another wingman. She was with me 24/7 two years while everyone was in work as I’m unemployed. 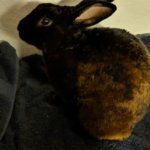 Dearest Aurora you were a wonderful rescue bun. Although we only had you for a year you have left a big gap in our hearts. You left us so suddenly and it breaks my heart that I could not save you. Be happy my lovely girl play with Toby over Rainbow Bridge until a time comes for Ariel to join you both. We all loved and miss you. 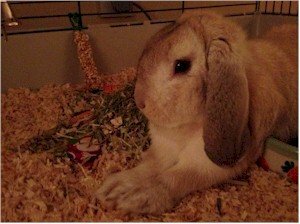 OMG never thought I’d see this day when our 6 month old mini Lop rabbit passed away suddenly. Guessing she choked on hay as it was stuck in her mouth and when tried taking it out after she had died it wouldnt come out. All of us were heartbroken when we buried her and hurts as the days go by. Went to sudden, too quick. Miss you loads cant bear to replace you as cant bear another loss. 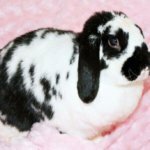 Oreo Rochelle Harrison was a beloved pet. We were driving home one day when we saw a little fur all on the side of the road. We saw it move so we pulled over. As we moved closer, we saw that it was a rabbit, but it looked as though it had ear mites and was very dehydrated. We immediately scooped it up and took it to the vet, where they declared that she was a young female, who infact did have ear mites. We had her in our home for a few years, but boy was she a big part in our lives. She helped us cope, stay active, and have some fun! We found out this evening though, that fun always comes to an end. We found Oreo dead at 9:45 this evening, in a thunderstorm. We love her ever so much and we hope to see her someday in a better place. You came into our lives completely unplanned. I went to buy a bulb in Pets at Home on 7th May 2015 and saw you “Bagpuss” and I instantly fell in love with you. I brought you home without asking daddy and for the first week when you were chewing all the cables I thought what have I done. Daddy was not happy I brought you home without asking but within 3 weeks you were undoubtedly one of the brightest lights in our lives. When Milliecat died at 17 we were so very sad, as were you so we quickly found you a mate. From the minute we brought Dotty home it was total love. You really were the kindest, most beautiful loving animal, mad for food but so affectionate and so funny. Your mum, daddy, Dotty and Bruceycat (a bit) are absolutely beside ourselves with grief. How can you go to bed your normal self and 4 hours later be so unwell. I really thought all our efforts of a large lovely garden with specially chosen plants, you having the run of the house, researching diet and any possible illnesses, avoiding holidays and generally loving you with every bit of me may have kept you safe but sadly I was wrong and we have no idea how we are going to cope. We just need to make sure Dotty is ok as she loved you as much as us. You were my first bunny. So unexpected, yet hopping into my yard by chance, then my home and my heart. You were taken from me too soon. I’ll never forget your love of blueberries or broccoli. You enchanted me with your persistence to be petted. You were curious and adventurous and everything a bunny ought to be. Even though I only knew you a short while I will always love you and my heart aches. If I had one wish it would be that you were with me again. To my beautiful best friend, I wish I could just see you one more time and tell you how I love you. The last few days of your life were traumatising, I just wish I could have told you what was going on and that I didn’t have to leave you at the vets. I wish you were home with me and Tulip right now. I think about you every day and you’ve left a huge Tiptoe shaped hole in my heart. I really hope we meet again someday, so we can have bun fusses just like we used to. Thank you for being my constant support, for never judging me and always loving me. My dad and my brother went shopping on the morning of 14th July 2018, I didn’t because I was angry at them. I then realised the garden door’s key was on the door and usually, my dad takes them with them when he goes somewhere, so I didn’t go to the garden. 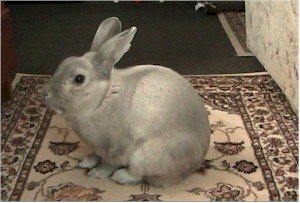 My rabbit was called Blue, she was only 4. 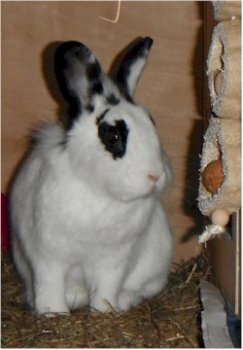 Gorgeous rabbit, and I used to come home everyday from school and talk to her. I went to my dad’s for the weekend, so I didn’t put her in my mum did so I didn’t get to see her on her last night. She was acting strange that morning and I wish I could’ve cuddled her before she went. 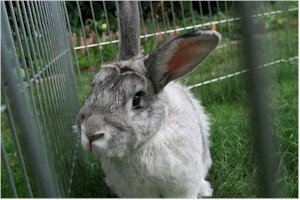 She passed on the Saturday outside of her hutch, as if she was trying to get in. I’m heart broken and I wish she was still here. Stellar was too young to go . We loved her so much and although the time was short we have some very happy memories with her. She died yesterday morning and we were there with her, hoping she knew that she was with the people that loved her during her last moments. My lovely girl if only mom and dad were there at your very last moments. 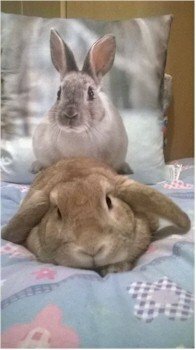 The month before your passing you have been extra attentive and affectionate to us, you wanted mom’s pillow so bad you thumped so much. You greeted daddy every time he came back from work. We weren’t used to have you in the room but the last month, you have tried so hard to be part of us by waking us up few times at night by scratching the door. We relented, and allowed you to be on the bed with us. We were unaware you have uterus infection. We adopted her from an owner who adopted her from an old lady. 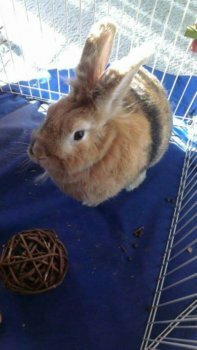 She passed away at home with her bun friends. We felt so bad we didn’t spay her in time. We didn’t know her actual age nor have exotic vets in the area. In fact the morning she passed away, we brought her to the vet telling us she has uterus infection, and will be fine after having some antibiotics. Mom found out eventually through online, it says our princess is at the fatal last stage of her uterus infection and could die any moment. We had her for 1.5 years. But it felt more than that. 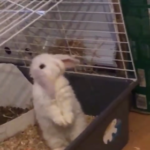 Bunnies are magical creatures. 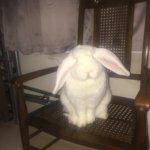 I am one of those who used to think they are just “rabbits”. Rest in peace our princess, our baby. 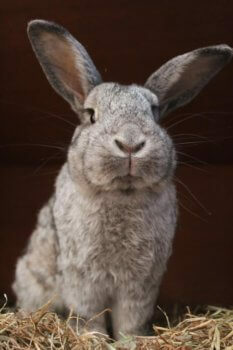 Frieda was a wonderful bunny: kind, clever, and very loving. She brightened our lives every single day that she was with us. Sadly, Frieda had developed some serious dental problems, and although her resilience, strength and determination meant that she powered through her illness to give us almost four extra months with her, ultimately she passed away during surgery at the end of February. Frieda leaves a huge hole in our lives. Our home will not be the same without her mischief and constant schemes to get more treats, We were truly lucky to have Frieda in our lives, and are devastated that she had to leave us so soon. Frieda is loved and missed by her whole family: Hannah, Jon and her sister Cora. 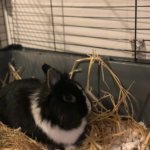 My wonderful bunny Jasper suddenly developed testicular cancer and died under anasetic on 20th Jan 2018. He was my life, I loved him so much, miss my little friend more each day. He was so full of life, loving and made my life so happy. 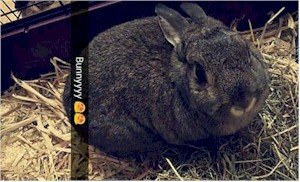 He was 8 and i fell in love with him first sight, not just a bunny but my soul mate. Life’s so hard without him in it anymore. So very, very heartbroken, words are not enough. In forever loving memory of Toffee. 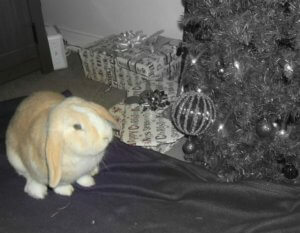 Beautiful both inside and out, the friendliest most loving bunny who we miss so very much. Toff died in my arms after having a fit, in the car on the way to the emergency vet. The house isn’t he same without him. Loved until the end, February 2012-October 2017.
and very thirsty we knew he wouldn’t survive very long out on his own. We took him home and that’s when our lives changed forever! I researched and read up on the best way to care for my new found friend…. the next day we visited a rescue centre with Gavin and he chose his Stacey! 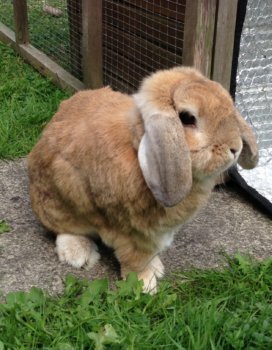 We all had 4½ very happy years together, Gavin lived with Stacey in their converted shed and roamed the garden in the day time. He had a brilliant life. When I one day found he had passed away in his sleep in his favourite spot in the shed I felt like I’d lost part of me forever. Stacey and I are missing him like crazy but will be forever grateful for the happiness he brought us. Our darling angel Obi. Came to us after being abandoned as a kit. Obi was brought home in January this year to warmth, love and a new family. 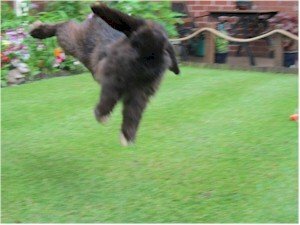 Little Obi jumped for joy and ran around binkying. She was at last loved and part of our family. 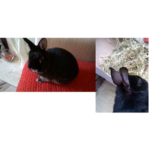 We have a bonded pair of mini lops, Mr B and Princess Leia. 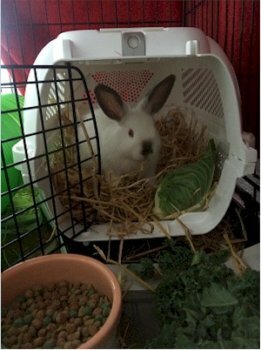 As competing females, we had to keep them apart, so we adapted our home and Obi ran free and was adored. I quickly became Obi’s male surrogate, as she nipped my ankles, circled me and licked me. I in turn groomed her and she would grind her teeth in contentment. She would visit our cottage, where she loved the garden and again had full roam. Obi was fully inocculated and was constantly checked. 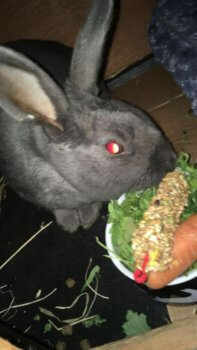 Obi was quiet one evening, but still enjoyed her time with her family and was eating. Obi enjoyed more love as she rested on my chest at bedtime. In the morning, she was quiet, but still enjoying love. As both my partner and I had been worried, I returned home early, to find her alseep on her side, but lifeless. 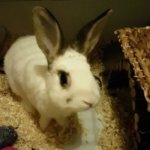 My darling angel had passed away. My heart is completely broken and in pain. Little Obi had just turned 1 year, just a baby still. Sleep well and run free my darling angel. I thank the heavens and the stars for my time with you and pray that I will be with you again one day. I love you now and will forever hold you dear in my broken heart. Goodnight my little angel. She was the same ol’ Lily the day before she died although I had a horrible feeling for months that I did not have much time left with her. Our nighttime ritual of me petting her, kissing her, and telling her that I loved her had become longer and it’s as if she knew her time was coming to an end those last few weeks. She fell ill that night and I was up with her half the night, petting her and keeping her calm until I could call the vet in the morning. However, her time with me was up and my precious girl waited until morning when both my husband and I were up so we could say one last good-bye. I was crying and telling her that I loved her as I watched her take one last breath and pass away. 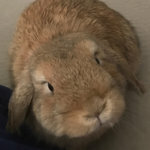 I have lost many pets (including eight other rabbits) in my life, but losing her hurts far worse than losing my other pets and even family members. I still cry for her all the time and miss her so much. 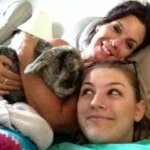 She was my world and momma’s bunny until the very end. The garden now is quiet, the weeds they grow once more, but still I see your shadows as you Binky round the lawn. I feel all of your presence as I garden all alone and fondly remember those nudges,nips and grunts that we shared once apon a time. 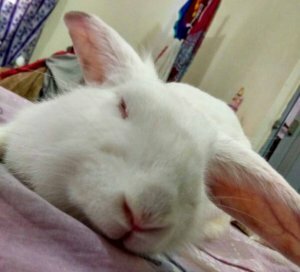 Good night my babies,sweet bunnies till we meet again. We had Peanut for 4 wonderful years! From the day we first got him we all fell in love with him. 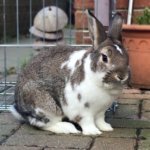 He was such a kind and gentle rabbit. Soon after we bought Rosie, his lifetime partner. They were inseparable, cleaning each other, chasing each other round the garden, and snuggling up next to each other at night. Today has been so hard. You went to the vets and never came home. Rosie looks lost and is waiting for you to come home. She will get lots of cuddles, and I know when the time comes you will be there to meet her at rainbow bridge. And when it’s time for me, I know we will all be together again. I miss you so much big man! Rosie is lost without you! We will all always love you and you will live on in our hearts. Lucy was our little ball of mischief. Never happier than when she was getting a row, she would binky for joy if she managed to get you to raise your voice. A fierce little thing she thought nothing of taking on visiting dogs with a quick nip to their nose to let them know who was boss. However she had a loving side too, bonded twice to first Angus, then Charlie, she was an attentive partner who always ensured her boys were in tip top condition with her relentless grooming. At Christmas she would ensure the reindeer and polar bear under the tree got groomed too. The house is empty without her. 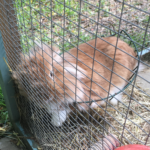 There is no-one banging on the bars to get out, right this second, there is no happy dance when the rustle of a food bag is heard and no toy box being thrown around. Wilbur never heard the fox approach as he lay in the garden. He put up a fight, our big brave boy, but died at the vets earlier today. 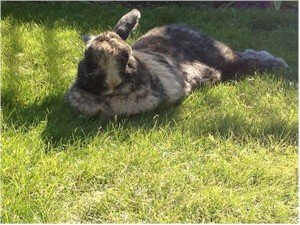 He was a true outdoors bun, grumpy at times but sun loving and cheeky. We’ll miss our little man. 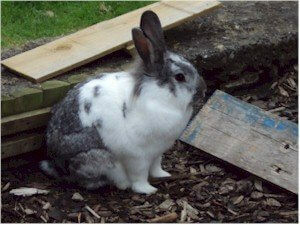 I have lost my lovey rabbit called Flopsey who was my son rabbit. She was only 3 mths when we got her and she passed away 4 weeks ago. She was such a friend to us all bless her she only had 3 legs after having a accident. She had the most wonderful life. She had the run of the garden and also had her own shed full of toys and a lovley warm bed. 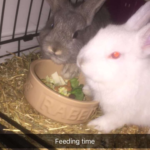 She became really poorly on the Thursday so took her to the vets and they checked her over and gave her antibotics which did seemed to help but after 2 days she went downhill my husband took her back to the vets.She and she passed away in his arms.When he came back I had to sit the kids down and explain what had happened. 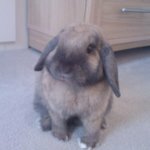 Every day I cry and cry and miss her so much (if one more person says to me it’s only a rabbit i will scream)she was my baby. Dearest Peter, You were the light of our lives and gave us so much joy and unconditional love whilst you were with us. Adopting you was one of the best decisions we have ever made and to anyone who wants to adopt, please do. You will always have a place in my heart Peter and have taken a piece of my heart with you. Thank you for teaching me so much and getting me to learn all about your kind. Thank you for cuddling up to me when I was poorly, and for sitting by me whilst I read. I’ll miss you so much. You were one of the greatest companions I could have ever wished for. Our wee Alice joined us in November 2015 at just 12 weeks old. 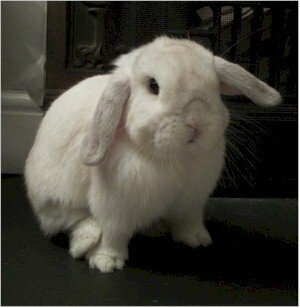 Alice was a very cute bundle of white mischief with a squidgy black nose and twinkly brown eyes. She was quickly nick named twinkle toes. It took a long time and lots of patience to bond Rory and Alice. However in April 2016 whilst on holiday in Suffolk it just happened and Rory and Alice became bosom buddies – they adored each other and were inseparable. 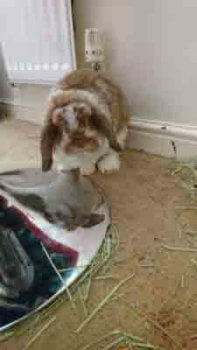 Alice was a very inquisitive rabbit and was devoted to Rory. She groomed Rory daily and encouraged him to eat healthily. They would follow each other around and liked nothing more than snuggling up together in front of the fire snoozing. 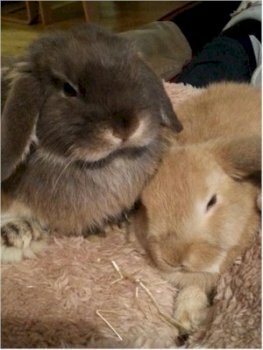 Sadly on the 25th January 2017 Fiona came home from work and found that Alice had died, Rory was snuggled up to her and grooming her ears. 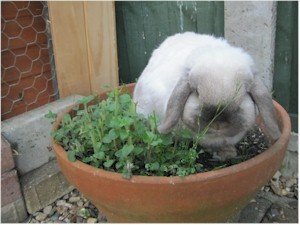 Alice brought lots of fun, joy and sparkle into our lives for the short time she was with us and also gave Rory a new lease of life in his senior years. You filled our lives with so much joy, I knew when I first saw you I had to have you! You were such a character, playing with the dogs, showing who’s boss!! I think they are really going to miss you! Just like me. I really am going to miss letting you out in the morning and you lying in the living room chilling with the boys!! I will miss the licks that you used to give me on the nose and when you used to jump up for tickles, and get under my feet when you wanted food.. I’m just happy that you had a lovely life and we got to spend time together. 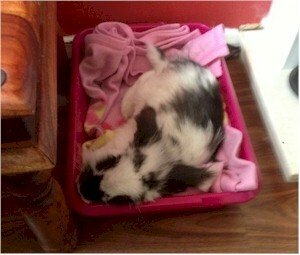 On Tuesday 10th January I had to say goodbye to my darling Lily G.
Lily was found wandering the street and taken to BARC. 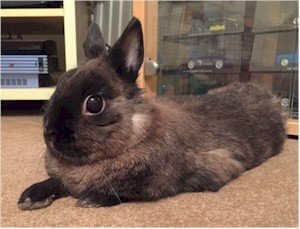 After a couple of failed bonding attempts, I was the lucky to adopt Lily in November 2015 where once settled, she became one of the friendliest cuddliest bunnies I’ve ever met. My darling girl I only got to love you for 13 months but in that time you stole my heart repeatedly. 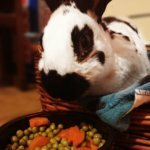 To our sweet bunny boy Frisky who crossed Rainbow Bridge 5th Jan 2017. 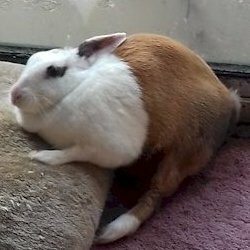 You were the perfect hus-bun to Jolie. When we first got you from the rescue we were going to change your name, but we quickly learned why they named you Frisky! You didn’t have the best start in life and we wanted to give you the best. 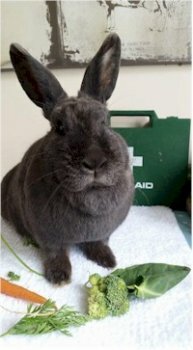 You made us all so happy for ten years, each day starting with your excitement at getting a big bowl of greens. There is a big bunny gap in all our lives now. To my darling wonderful unique and much loved little princess Mo. I can’t believe that you are no longer with us I never for one moment thought that the day would come when you left for the bridge but unfortunately that day came on 5th December 2016 when you went to the vet’s for a dental and never came home. Words can’t begin to describe how much I miss you my little princess. You were the boss whatever you wanted you got and I would gladly have swopped places with you if I had thought that you would go. I have your painting on the wall and your ashes next to me and I miss you as much today as the day you left. 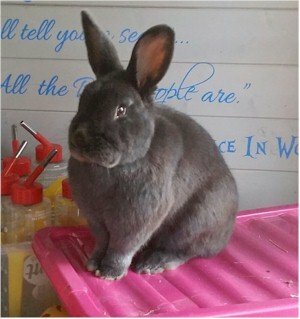 Until we meet again binky free my little one and have fun at the bridge with Maxie and Max. 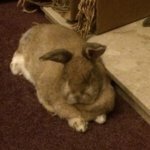 Soo our Giant Houserabbit was put to sleep in my arms on 12th Dec she had heart failure she would have been 8 years old in March so precious were you are furry daughter,I felt like I was betraying you but couldn’t let you suffer anymore only 8 weeks after your pal Archie my other Giant Houserabbit was also put to sleep he was nearly 9 and had kidney & liver failure our furry son. 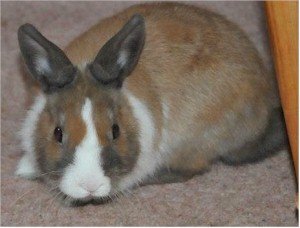 On Christmas Day 2016 our gorgeous little girl Bunster Coco passed away while she was on holiday with her loving brother Smudge, and our kind friends near Cambridge who brought her into our lives. 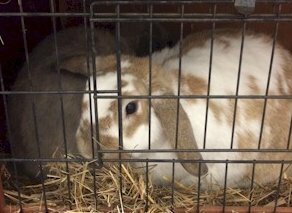 Coco went to sleep peacefully being cuddled with Smudge at her side. Little Coco was so young but her light shone brightly and lovingly in our lives and she will always be in our hearts. We loved Coco the first time we saw her and her brother Smudge, newly weened and snuggled together. 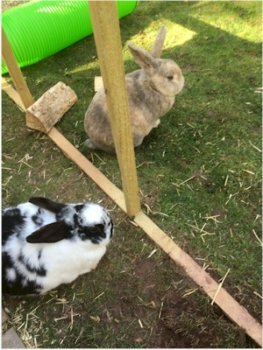 Smudge grew up big and strong – a handsome Prince of Bunsters, with Coco the petite and beautiful Princess. But what a difference in temperament! 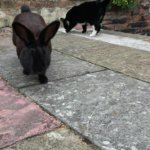 Smudge the cautious one, with Coco the little adventuress – always exploring, binkying and running around with a clear love of technology in the way she explored the Brave and Strange New World of TV and Hi-Fi systems wiring – the Ellen MacArthur of Bunsters! you left us too soon Little One. Your passing from our lives as you now run far and wide is really hard to take as we write this. 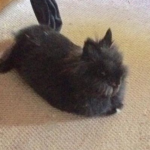 But just as you loved to settle down on the rug after a hard days excitement and think happy Bunster thoughts, we know the pain will pass and we will smile again as we remember you and the love and joy you brought into our world. God bless, precious little Coco. Till we meet again, you are always in our hearts and your pure love and joie de vivre is an inspiration. Wilmer my sweet you are your mama and papas entire world. We love you baby bun almost as much as you love us. Your love is so selfless, pure, and gentle. I truly believe you are an angel, and now that you have passed you are our guardian angel. I miss you more and more each day sweet boy. We will never forget you nor replace you. You are our precious babe forever! Moving forward we will do everything to make you proud. You have the best little bunny heart. I’m so sorry I didn’t realize you were sick, you were such a happy boy mama didn’t know. Your heart though it was filled with so much love couldn’t take the anesthesia. I’m so sorry baby boy. I hope you can forgive me. I keep reminding myself that you are here and that someday I WILL see you again. We love you so much Wilma squilma. 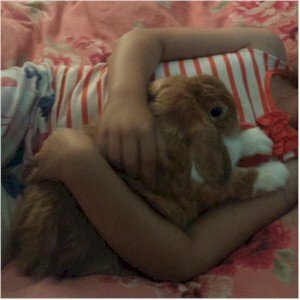 my rabbit my love my daughter ( khargooshi) died eight months ago. I only had you 7 weeks and I can’t believe how such a small little bundle of fluff filled me so full of love and happiness. You were gorgeous. I rescued you from a horrible place and you had 7 glorious happy weeks with me and your little sister Scampy. You were only a baby and I will never forgive myself for taking you to be neutered. You would still be here today looking at me with your shy little pink eyes. You fought right through the night but your little heart must have already been sick they tell me. Who knows. All I know is that you are not here. I have your blanket which still smells of you. You will not be forgotten Rebel/Gypsy/Chips…never. You were very loved and will remain forever in my happy memories. In memory of my precious boy Bonnie, he died on the 11th November 2016 in his sleep, there was no pain, I just wish I was there when you died. Bonnie was part of me, when he died a part of me died too. I miss him so much, without him I feel lost. I remember the funny things he did and the good times I had with him. He had a good long life, he lived for 8 years before he went to sleep and woke up in heaven. He was part of my family, he was the one I could talk to without getting criticised. 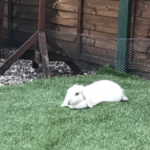 He loved running in the garden, hiding from me before I would find him, we would run about together, lay on the grass together and play together. He was always there for me and without him I feel so lost. RIP my baby boy, miss you so much, love you loads and loads, you are never ever forgotten. Henry or just Henners … whatever I called you it was always said with love. 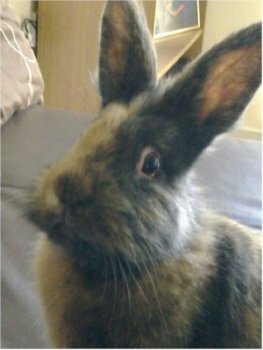 You were the sweetest, gentlest, cheekiest, most handsome bun and my best friend and only companion for almost two years. 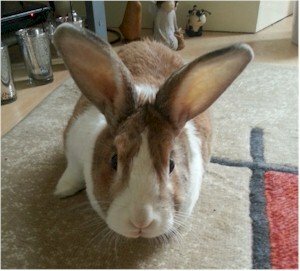 I brought you home from The Ark Rescue and Retirement Home on 25th Nov. 2014 and you were such a confident rabbit, nothing ever phased you and I soon discovered you were a very clever boy. 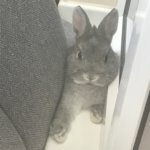 The only rabbit I’ve had who could open doors from both sides and you quickly learned four different word for food, you even learned that when I tapped SOS it meant food as well. Diagnosed with an enlarged heart on the 1st March ’16 we had one last glorious summer together. I shall never forget our time together Henners: the nights we slept together on the hearth rug, the attacks you made on my favourite shoes… how helpful you were when I was cleaning out your litter tray(?). You truly were by big hearted bunny, my friend, a true Champion. You passed away in my arms at 2-40 pm on 7th October 2016 and now my life is empty. We lost our beautiful boy, Ford this week. He went so suddenly – he was 100% his usual self when I put him to bed and yet when I came to him in the morning he was in agony. He was at the animal hospital within the hour and they tried everything they could – yet suddenly he was gone. I feel cheated. He was only five and so robust – yet we were robbed of him in a heartbeat. He leaves behind Ava, his love, and three other boys who miss him terribly, as well as Kite, our Border Collie who has lost her twin. It feels like nobody could possibly understand the pain Himself and I feel. 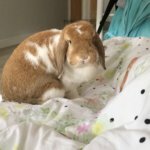 He wasn’t a rabbit – he was a person, and he was our beautiful baby. My little Fjord. Zorro. Felix. My Fordelish. And I can’t accept that he’s gone. My gorgeous baby boy Pan. You brought happiness and fun to my life for 6 amazing years. You were such a happy, friendly little soul and my heart aches without you. I miss you every day, but I know we will meet again someday at the Rainbow Bridge. My dear Thumper, I was just thinking about you and wanted to send you my love. I miss you every day and always will. I hope you are happy, until I see you again sleep tight. In memory of my baby who died 2 years ago. A poem I found that sums up exactly how I feel. Still after all this time. Christie – you were Gwynn’s best friend and you will be missed. When we brought you home from the RSPCA they had advised us that you may only have 6 months to live. You gave us 3 years and were so loving after the cruelty you had suffered, before you were rescued. It was your time to go to Rainbow Bridge and we’ll meet again I am sure. Fudge my very first rabbit. Passed in my arms aged 2 and 1/2 years. Was unwell but vet didn’t know what was wrong, morning after you decided to go over rainbow bridge. You were in my arms looking up at me, knowing that you was safe in mummy’s arms, you decided it was time. I love you so much, I bet your doing lots of your bunny jumps and side kicks as you have plenty of room now. Our boy Thunder left us the very same night every member of the band Thunder signed his get well card. 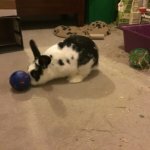 He was a true bunny rock star and loved his life with us and our other bunnies, but he especially loved his girlfriend Thin Lizzy. 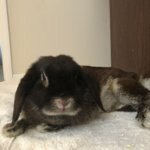 He had two abscess on his face that were removed and he showed signs of making a full recovery, but sadly he took a rapid decline and we had let him take the long walk over the rainbow bridge. I think he was needed there so he could get everything ready for our Iommi, Zeus and Neptune who joined him in the summer of 2016. Thunder, we didn’t have you for long buddy but you left big holes in our hearts. We still miss you today and always will. RIP little buddy. 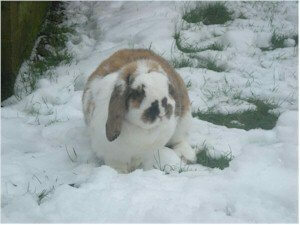 Mandy Our beautiful Mandy, you were the most precious little bunny, so loving and warm, we adored you so much. Taken away from us just a week before your third birthday, far too soon, but you twitched your little nose and rested your head on us right up to the end. 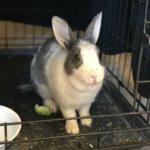 Flopsy was the sweetest bunny… She had a lot of health issues and bravely fought them off giving us lots of love and affection. She woke me up in the middle of the night. I knew she was saying goodbye so i picked her up and cuddled her as she licked my hand lovingly. After about 15 minutes the licking stopped and she had passed over the bridge. I cuddled her for hours. I was distraught but proud that she had loved me to the end and knew how much she was loved. 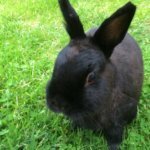 Dearest Toby,You were our special friend for 8 years until you suddenly became poorly and left us for bunny heaven over the rainbow bridge.We will all miss you running around the garden, eating my pansies and carrot tops. You were such a character with your cute little ways of getting our attention if you wanted something or were not being made a fuss of. Thank you for such happy times keep playing with your toys. Dear little Sammy you were only Four and I had only adopted you 6 weeks ago. You were such a lively little buck and I loved you so. How sad I am to lose you so soon. wish I’d never taken you to the vet to be neutered yesterday, your little heart couldn’t take the anaesthetic. 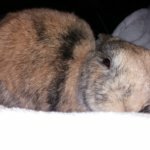 Binky free little one with Buffy & all my other buns, miss you so. 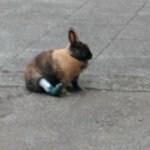 Neptune sustained a trauma to his head after a new bunny jumped 3’6″ out of her garden enclosure into his. After nursing him for 5 days he had internal bleeding and we had no choice but to have him pts. He was way too young to die and is sorely missed every day. Our beautiful Zeus…the silence without you is truly deafening…I miss you every day…you have left the biggest hole in my heart and I feel so sad I could not save you. You were so brave, my little soldier, you fought til the end but know that you were loved so very much and that you will be forever missed and always a shining light in our hearts. 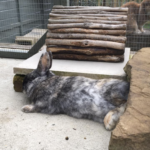 Our beautiful Zeus had an abscess that was removed, after his op he was unable to open his jaw up and down and could only grind from side to side. He could not physically open his mouth more than a few mm. No vet could do any more for him and there was mo chance of it recovering due to new bone formation. 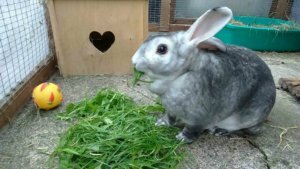 For 5 months I cut up hay, dried grass, dried dandelion and herbs, pre and pro biotics and nuggets and blended them into a paste that he could eat through a syringe. I made him super smoothies with kale, carrot tops, greens, broccoli etc. 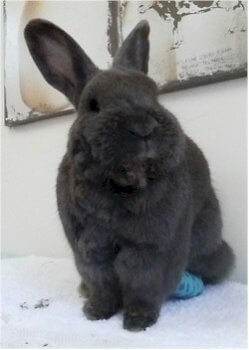 Despite padded mats in the house with our other bunnies he got awful sores on his back feet that eventually needed bandaging and eventually he got infections forming in his front paws as he was wiping his wet mouth during the night. No matter how many hours I spent caring for him and feeding him from dawn til dusk he began to lose weight. He was on medication throughout but in July, his little body couldn’t fight it anymore. The hardest thing was that he was so determined to live. Making the decision to send him to rainbow bridge is one of the most soul destroying things but he went to sleep peacefully in my arms. Also mommy and daddy miss you too. To my beautiful little girl Jessie. Gone too soon. We miss you, you brothers miss you. 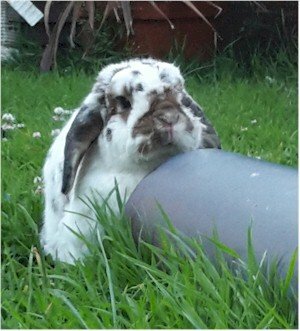 Bam Bam passed away on the 8th of June 2016. I have had you since you was 6 weeks old and I miss you everyday. I have a hole in my heart which will never be filled till we meet again. Happy birthday Thumper you would have been 12 today. Sending you much love and cuddles for your special day. Charlie and Emily send their love too, we all miss you so much. 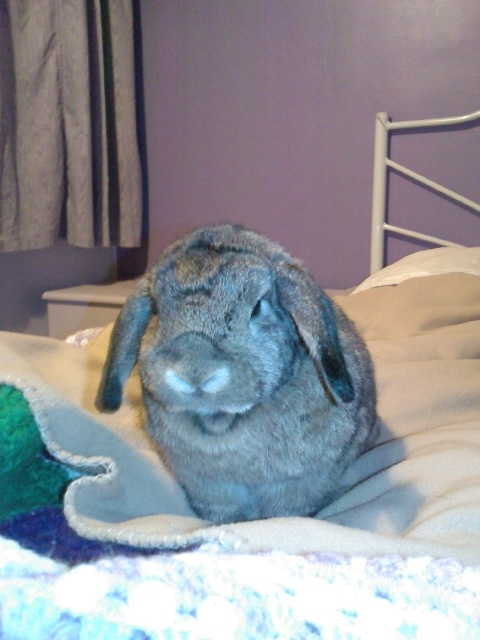 My darling Thumper There isn’t a day passes that I don’t think about you. I miss you terribly and hope that wherever you are that you are happy. Thumper It’s been a long four weeks since you went away. The house feels so empty without you. I miss you so much and want to send you a big kiss. You will remain in my heart for always and I’m sending you so much love today. Be happy my boy, one day we will be reunited again. Till then love you lots. 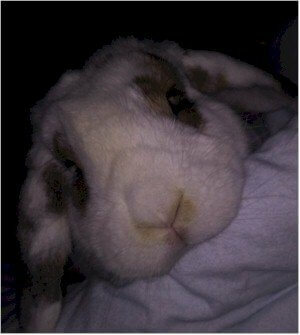 My dear boy Thumper I miss you so much and hope wherever you are that you are happy. I miss our cuddles and your lovely big brown eyes. I want you to know that I will love you for always and you will remain in my heart for always. Thank you for eleven wonderful years, you were my best friend and life will never be the same without you. Lola, such a gentle and loving soul. A real softie through and through. 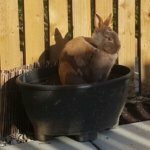 Not the most active rabbit but loved the sunshine and a cuddle and stroke. Nothing could compete with mealtimes and treats. It’s so hard to lose you and so close to Rocky but now you can be happy together with him once more, best friends together forever and at peace. Have fun up there. You are really going to be missed by us all. Enjoy yourselves and we look forward to when we are all together again as a family once more. 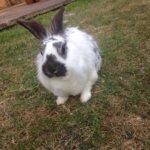 To my darling Flopsy, nearly a year has passed. I miss you terribly. It hurts thinking about you. Your were there through the most painful times in my life. To my beautiful Twinkle. You left me too soon. I love and miss you. Merlin arrived in our home in December 2012 and was a never ending source of joy and happiness. Watching him pop his nose out of his castle windows, disappear into shopping bags, rearrange his living quarters so they were just how he wanted them – all he ever brought us were smiles. We shall miss you terribly, little guy. 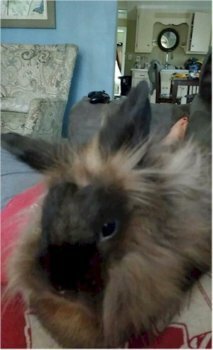 Lucifer you were my best bun for 8 and a half years. You brought me so much joy and happiness, always up to mischief. Even after the loss of a back leg you carried on regardless. You will be missed so much and I will NEVER forget you. 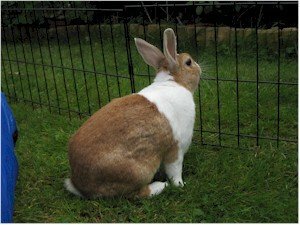 Jess – you taught me so much about rabbits. More than I realised there was to know! You are deeply missed and will never be forgotten. 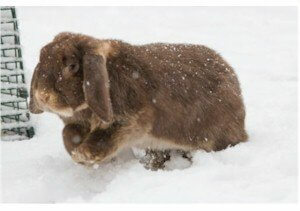 I would never have known that rabbits have a wonderful sense of humour and know how to ask for and give love. Rocky, such a funny, strong-willed, loving and cheeky little chappy. You alway made us laugh with your skitting about- a real striking personality. You will be sadly missed by us all especially by your little companion Lola. We look forward to the day that we will all be reunited once more. Such a sad time but we can rest in the knowledge that you will not suffer for longer and was able to die in peace and with dignity. Until we meet again be happy running freely over rainbow bridge. Love you always – the Dover family. Bella, my beautiful baby girl. You was such a fighter until the end. I miss you more and more everyday. You made me laugh, you made me a better person. I love you bunnyface. Have fun over the rainbow bridge. Dearest Louis, you were my best boy for nearly 12 years. I miss you so much and hope you are having a peaceful rest. I made a memorial in the garden where you used to play. I love you. I wish you could have stayed forever. I hope someone is stroking your nose and hugging you. 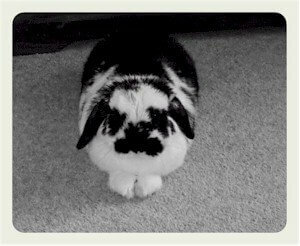 Today has been so sad i had to have my beautiful bunny pts due to having a dental and just becoming worse every day. So i took snowwy back to the vets and they said he’s quality of life was gone. 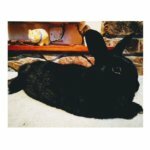 He was a netherland dwarf rabbit ages 3 and a half. He was a lovely boy untill this happened. I will always remember snowwy forever. We lost our beautiful boy, Harley, today, 1st January 2016. He just slept away after breakfast. His partner, Beau, was beside him until the end. Harley, sweetheart, you were amazing and brought such joy and laugher into our lives over the past four and a half years. We will always miss you. Have fun over the rainbow bridge. In memory of Bambam(brown) my little miss trouble. Thank you for 9 wonderful years. Missed by husband Tommy(white n brown), sister Snuffles and brother Jester. I was chosen by Bambam when she was just 8 weeks old along with a little sister called Pebbles who passed away at 2 years old. Bambam you where so miserable without her I decided to take you dating at the local rescue where after a couple of mr wrongs you met Tommy. It was love at first sight and within 3 weeks you were known as Mr and Mrs hooligan, where there was 1 the other wouldn’t be far behind usually you leading and Tommy following. Sadly old age started to catch you up and we had to say goodnight. Reunited with pebbles at rainbow bridge. Love you my little girl. In memory of Tommy (white & brown) My monster who I had to say goodbye to just 5 short weeks after your missus Bambam(brown) had to leave us. I got Tommy from the local rescue and couldn’t believe how shy he was, until he got with Bambam then all hell broke loose. You quickly earned the name ‘the hooligans’ usually following Bambam into trouble but just as often it would be you leading. Brother Jester n sister Snuffles will miss you too. But we’re all happy in the knowledge the Hooligans are reunited and causing chaos at rainbow bridge. Love you my little boy. Sadly missed by partner Bambam. Taken too soon loved too much. Thanks for teaching me that love could be unconditional and making my life brighter for having known you.